A lot of cyclists still swear by tubulars, claiming they offer improved performance and comfort. A common way to describe the difference between tubulars and clinchers is that tubulars are "more luxurious." While that nebulous feeling is quite real, it's not for the reason you might think. The better ride is not a result of the tire being glued to the wheel, but rather the latex tubes that are sewed up inside the tire. 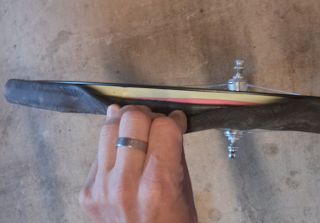 In our previous article on road bike tires, we touched on the benefits of latex tubes. Because of their flexible, supple material properties, latex tubes improve both comfort and rolling resistance by a substantial amount over a normal butyl tube. Careful testing by Tom Anhalt has shown a power savings of around 3-4 watts per tire at 25mph, along with better comfort and handling. A good clincher tire with a latex tube can offer the same or better rolling resistance and comfort as a tubular. But as always, there's a downside. First, latex tubes leak air faster. You will need to pump up your tire every day. Not a huge issue for racing purposes, perhaps, but a bit of a hassle for training. They also leak Co2 even faster, making latex unsuitable for use in a flat kit. Why is latex so tricky to install? If there are any installation problems the tubes will fail very quickly. If a spoke hole is exposed, they will blow through it very soon, whereas butyl might last a few weeks. If they are pinched between the tire and wheel, they will blow, whereas butyl might survive for a few days. Latex tubes are both sticky and extremely supple, which makes it very likely that a bit will end up outside the tire when you first put them into the tire and mount the tire on the wheel. 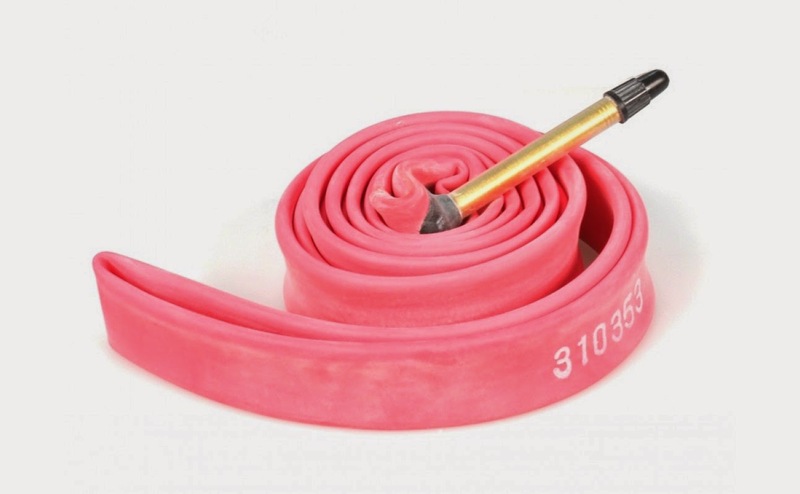 Because they get sticky and leak air after a day or two, latex tubes can often move rim strips around over time as they deflate and re-inflate, causing spoke holes to become exposed. Use Stan's No Tubes rim tape (two layers), in the proper width for your wheels. 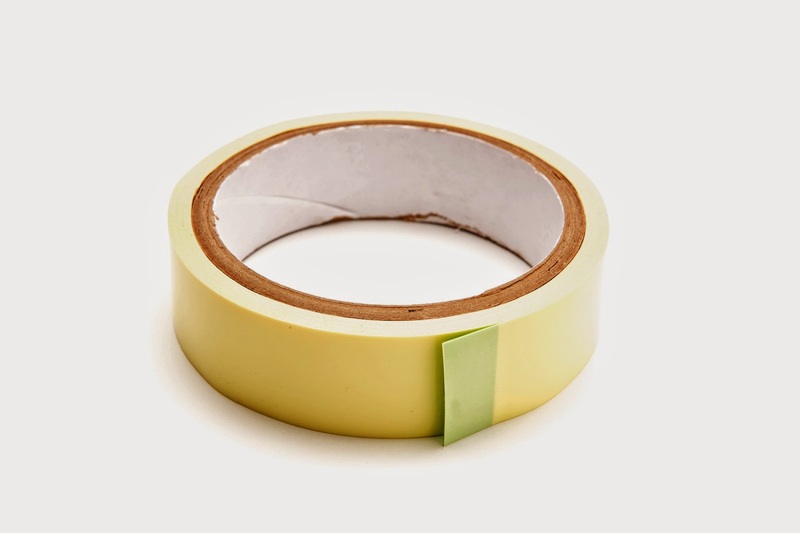 Stan's tape is sticky on the inside and extremely smooth and glossy on the outside. This prevents latex tubes from sticking to it and moving it around. Pick a width that fills the inside of your rim perfectly and you will be safe from exposed spoke holes. Use two layers to prevent deep dimples over the spoke holes. Most shops will stock a few rolls of this in different widths. Pump a tiny bit of air into the tube, and then do step #2 again. Tubes usually ship with a bit of talcum powder on them when new. If your tube is old, put it in a ziploc bag with some baby powder and shake it up. This will make the tube less sticky and install a bit easier. Because latex is so supple, it doesn't matter how thick it is. A thick latex tube is just as fast as a thin one, and a little more resistant to installation mistakes. So use brands like Vittoria, which are a bit thicker. With a little bit of care and knowledge you can reap the big energy savings of Latex tubes without the stress and risk of flats. Enjoy the watts! Cancer seems impossible until it happens to the strongest, nicest, youngest people you know. 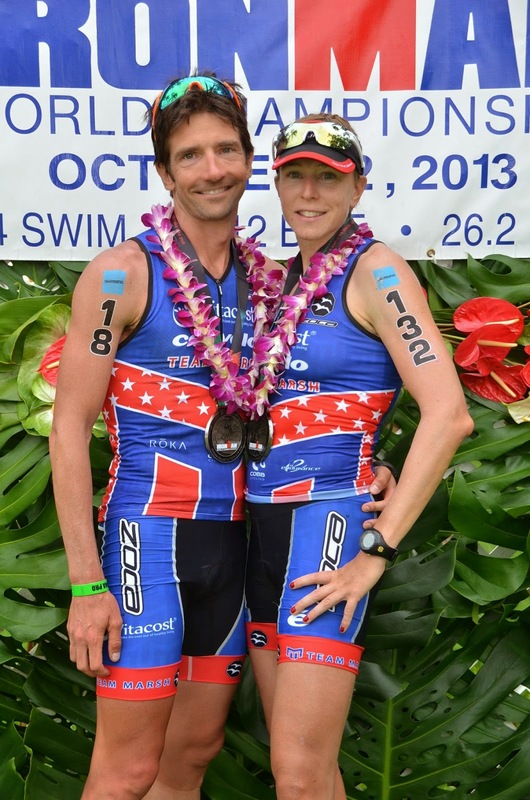 Amy Cottrill Marsh, an Austin-based pro triathlete and close friend of many at Austin Tri-Cyclist, was diagnosed with Acute Myeloid Leukemia (AML) on December 23. Treatment requires a bone marrow/stem cell transplant, and doctors are still looking for a suitable match. Sympathy is often a helpless emotion. Words can’t ever truly express it. You can never take someone else’s pain away, or share it, or even understand it. For Amy, however, we have the rare opportunity to individually and directly help, and in doing so, to show how much we care about her. A bone marrow donor drive in Amy’s honor is being held this Saturday, January 24, from 10 a.m. to 5 p.m. at Austin Tri-Cyclist (Barton Springs location). With a simple cheek swab, you join 11 million people on the national donor registry, and if Amy or someone else is a match, you’re notified and told how you might be able to help save that person’s life. According to organization Sharing America’s Marrow, seven out of ten patients must seek a donor match on the national bone marrow registry, and less than half receive the transplant they need. Proceeds from Race Around Austin, a gran fondo event put on by ATC Racing this Saturday, will benefit Amy. 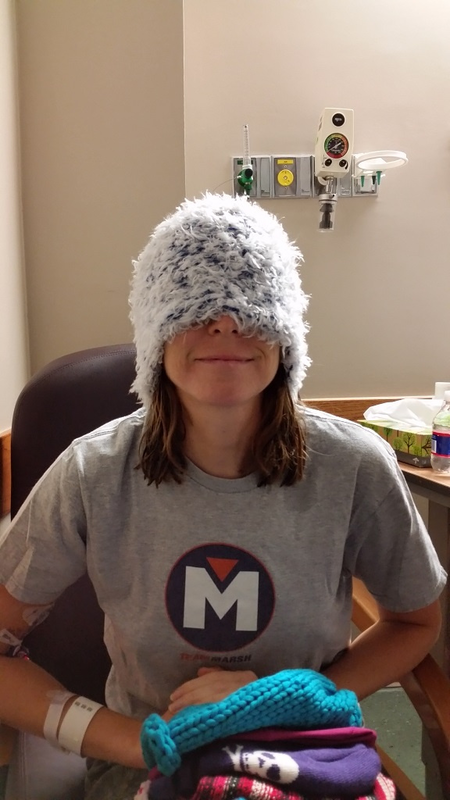 If you’re racing this weekend, consider making an extra effort on Amy’s behalf and join the bone marrow registry, donate to Amy's YouCaring site, or check out the Team Marsh blog for other ways to help. ATC is also donating $20 from every run shoe sale through the end of February. Team Marsh Blog, where you can read Amy's story and updates on her care. AA: I'm fairly new to social media. What does #RAA2015 stand for? AA: ummm what?...Race Around Austin in the year 2015??? AA: Is this a team-only event or can I race as an individual? AA: It is TEAM ONLY. Who wants to ride 100 miles solo anyways? If you don't have a team, post a comment on the FB event page like this: "Single and ready to mingle." Offers will be rolling in. I'm sure a team will totally add you out of pity. AA: Ok thx for the dating advice I might try that. Is it $80 per team? 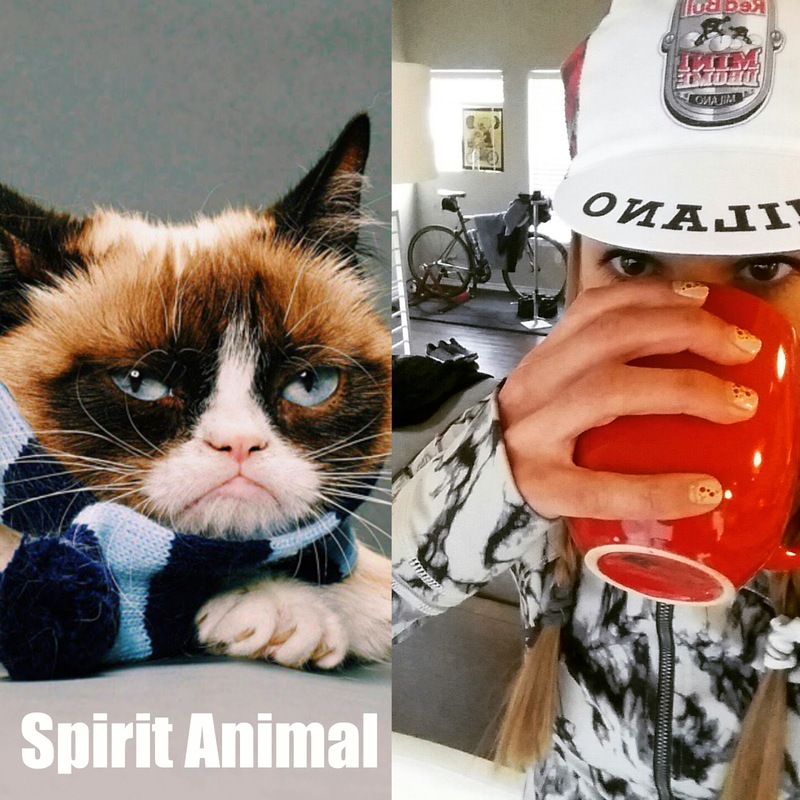 AA: Do I need a USA Cycling License to participate? AA: No. Licenses are not required for Grand Fondos. Individuals will need to sign a waiver at packet pickup, which is Jan. 23, 3-7 p.m. at Austin Tri-Cyclist Barton Springs. Riders may also sign their waivers before the 9 a.m. Saturday start, which is also at ATC. AA: Is this a mass start event? AA: No. Teams starts are staggered by two minutes, like a time trial. Start order is determined by registration order. AA: What is your favorite animal? AA: So I'm a bit of a planner. Can you tell me the general route? I'd sleep a lot better if I knew what to expect. AA: Lame! Plan on lathering your chamois with a good schmear of euro-style butter. Expect to ride your bike a lot. Three checkpoints will be disclosed at packet pickup, but it'll be around 100 miles. ONE HUNNID!!! AA: Wow. Okay... So will there be support? AA: Sort of. Each checkpoint will have bathrooms, food, and water, but the rest is up to you. AA: I only have a TT bike and aero helmet. Can I still participate? AA: You totally have other bikes but whatever. TT bikes are fine. As far as the helmet, wear one. Oh and obey all traffic laws. Basically don't ride like a jerk. AA: Can I draft off other teams? AA: No. Just like any other TTT, if you ride up to another team pass them quickly or keep a good distance if you are riding about the same pace. If you do pass, please do so on the left and watch for traffic. You also MUST heckle the opposing team. AA: Why do you need to heckle them? AA: To crush their spirits. AA: Whoa. Sounds fun. Where do I register? What's the link? AA: https://www.usacycling.org/register/2015-395 The first 12 teams to sign up will get #RAA2015 commemorative pint glasses! AA: What if we lose/drop a rider? Do we need to finish with all 5 teammates? AA: Dang girl...that's cold, but at least you are keeping it real. Anyways, WILL THERE BE BEER? AA: Yes there will be beer from Independence Brewery AND cider from Austin Eastciders for the gluten-free people! We will also have food (meat, vegetarian, and gluten-free options) at the finish. You will finish at ATC. AA: Independence Brewery? I'm in! Let's do this! AA: Hold up, slow yo roll...look, you can't race because you need to work one of the checkpoints and help out at the finish and stuff. Don't you want to be there to congratulate people??? AA: Who's asking the questions here? AA: Well this has been weird but informative. I'm totally looking forward to this event, Allison. Girl, you are the BEST! See YOU Jan. 24th at #RAA2015!!!! 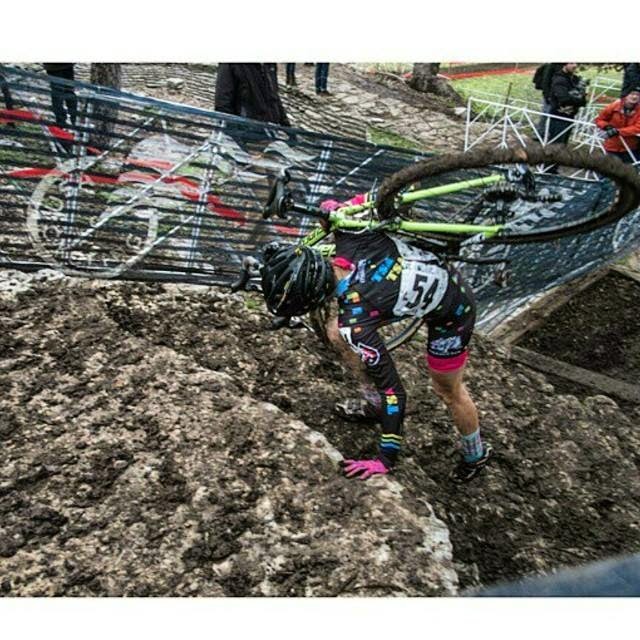 Sammi Runnels offers a unique perspective on the 2015 Cyclocross National Championships. As the only Texas rider in the elite women's race this Monday, she had an advantage: she didn't have to juggle flights or book extra accommodations to compete in the race, which was moved from Sunday to Monday in a now widely publicized debacle involving the Austin Parks & Recreation department, a local tree-preservation organization, and governing body USA Cycling. 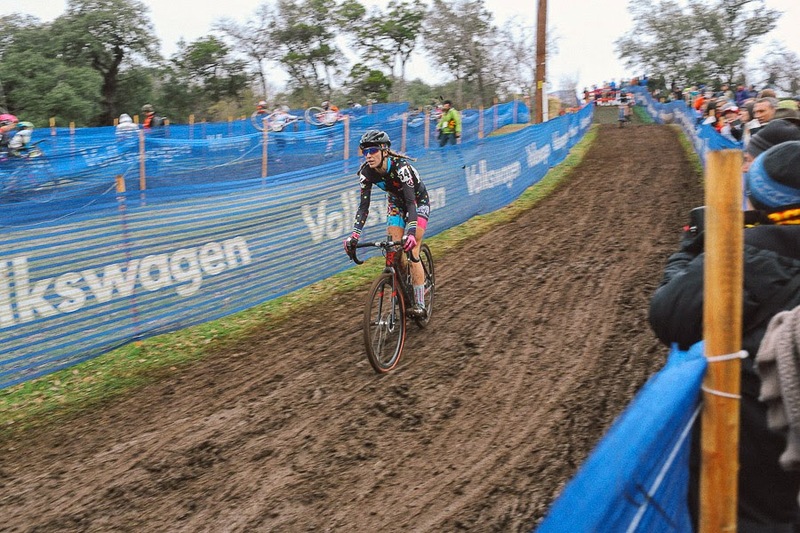 (If you haven't gotten the full scoop on how spectacularly Austin dropped the ball on CX nats, click here for a thorough report from VeloNews.) 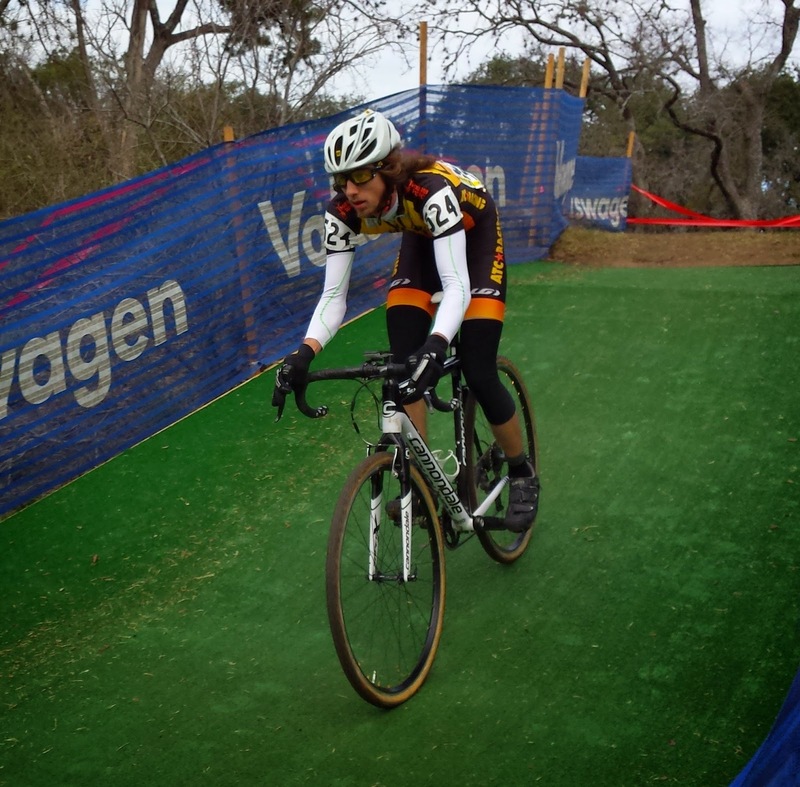 Like the other racers and fans impacted by the last-minute changes, Sammi felt angry, and like most of Austin's cycling population, she felt ashamed of the city she calls home. Compounding the political mysteries that surround Sunday's cancellation is the Lance Question. Did Lance Armstrong, as his Tweet would suggest, favorably influence Austin PARD in deciding to reschedule rather than cancel the race? On social media, some people expressed gratitude. Others found it still more disconcerting that such a controversial figure, banned from the sport of cycling for life, would have a direct line to the powers that be in city government, or they said he was just tooting his own horn about a compromise that had been hard-won by others. Every national and local news source covering the drama seems to be alluding to the Lance Question, but as of yet no reputable source has answered it. "Are we still cool bro? 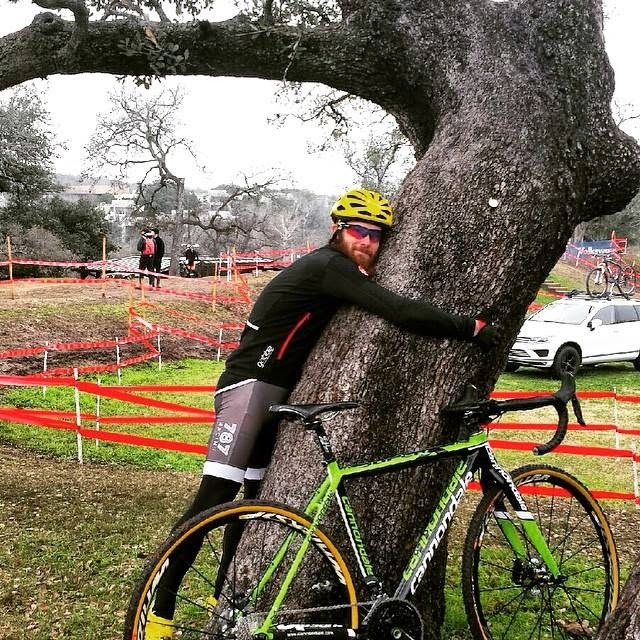 ‪#‎heritageoaks‬ ‪#‎cxnats‬ ‪#‎cyclocross‬ ‪#‎treelove‬"
On a positive note, the cycling community in Austin and beyond did their best to help racers mitigate the expenses and headaches of extending their stay. "Although the last-minute schedule change placed a huge scheduling and financial burden on the majority of affected racers, it was touching to see the huge amount of outreach and support for these riders by the cyclocross community," says Jessica Cutler, a Seattle-based pro racing for Jamis Bikes. "Austin residents offered to open their homes to riders along with transport to the airport; people outside of Austin fundraised to help riders defray some of the costs they had to incur; and even professional rider Tim Johnson reached out by sponsoring a free dinner on Sunday night for junior and U23 riders." Southwest Airlines, whose headquarters are in Dallas, was reportedly waiving fees in the mad scramble to change flights out of town. 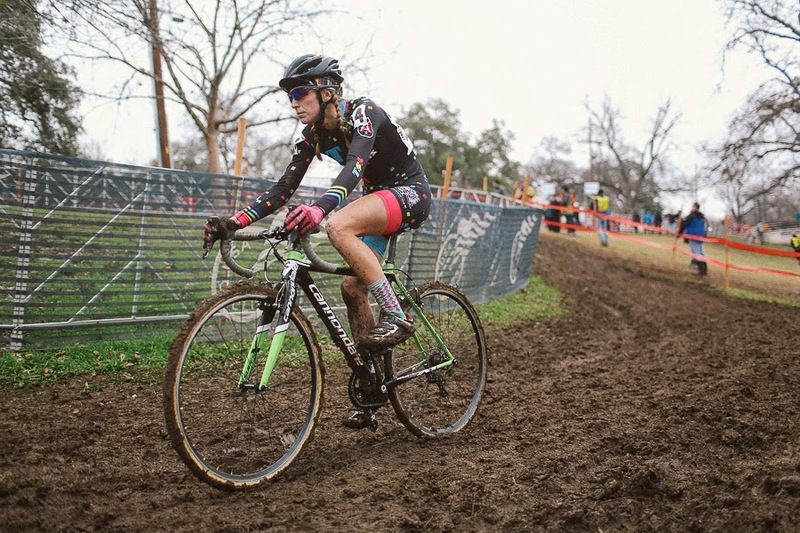 Only in her second season of racing cyclocross, Sammi Runnels is just getting started in the sport, but she's one of those people you can say, without a doubt, truly loves cycling. She works full time as a bike messenger (we featured her in a post on commuting tips on Jan. 2), and still summons up the energy to train and race in her free time for both the road and cross seasons. She finished 36th among the field of 46 elite women who started on Monday. Read on for her quick recap of the race. Lining up this Monday with pros Katie Compton and Ellen Noble seemed like a dream. Mostly because of the Parks' Department shut down of the previous day. I seriously shed tears listening to behind the barriers hosts telling us there would be no race. I had gone out of state to UCI races to qualify for this race and suddenly it's just shut down? My heart goes out to those athletes who could not make it to the race because of the change. I'd like to thank Lance? Ha. And everyone from USA Cycling for not taking no for an answer. I can only imagine what it took to make them step down. I think I speak for most Texas cyclists when I say I'm embarrassed for my city. I was so honored to be able to line up and race with these girls. I lined up in the second-to-last row. The call up is based on your UCI points. At the start, I moved up pretty decently on the left side. As in the elite men's and junior boys' race, there was a crash at the start of the hill on the pavement. Our crash was smaller but heavily affected racers like Emily Kachorek, who flatted immediately and had to run to the pit. Luckily I avoided that. The first lap was filled with small slide outs by me and others around me. Luckily we've had a couple of mud races this year in Texas, but I definitely need more practice in the slippery mess. Running up those stairs was definitely the hardest part of the course. The fact that they weren't evenly spaced and were mismatched heights made them especially treacherous. I really enjoyed the mudslide descent before the barriers, though I did slide out pretty hard there one lap. I had a great time representing my city and state in the U.S. national championship. It was great having so many of my friends out there screaming at me. I definitely want to continue doing more UCI cross races next year. Cross is coming. 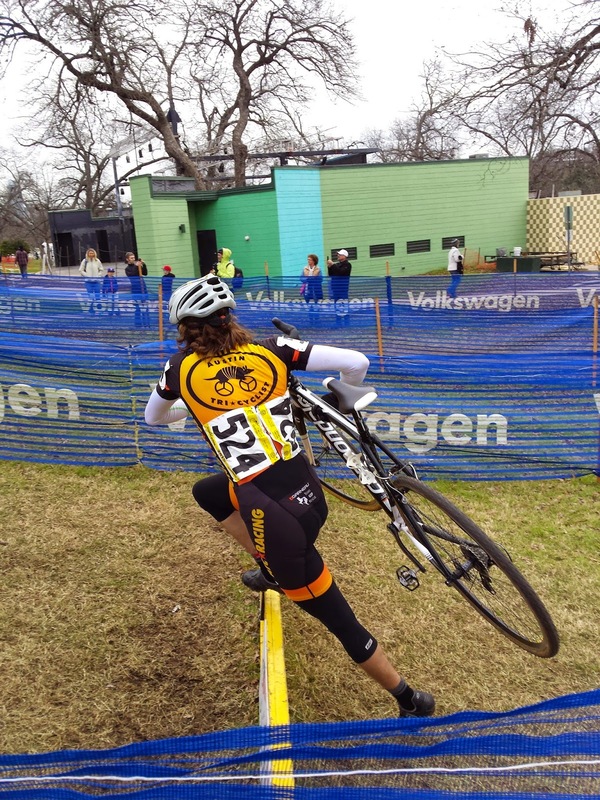 This week Austin is hosting the Cyclo-cross National Championships for the first time in 37 years. Austinites have rolled out the red carpet for visiting athletes, providing special events like Durata Training’s “basscamp” (think music, not the fish) and even some particularly cold, nasty weather over the weekend to make athletes from northern climes feel right at home. Pro Jeremy Powers has made several stops at ATC this week, and ATC built up his Focus Mares CX. ATC mechanic and pro cyclist Tristan Uhl, on 787 Racing, will race the male single-speed event at 4 p.m. today, as well as the elite men’s race on Sunday. Sammi Runnels, who races on the road for ATC Racing and on Team Super Awesome for cross, snagged a UCI point at the Gateway Cross Cup in St. Louis in October; she’ll race in the elite women’s field on Sunday, as well. Earlier today, ATC mechanic Chris Warren competed in the 10-29 non-championship race for ATC Racing (final results pending). For the uninitiated, what is cyclo-cross? To be honest…I don’t know. 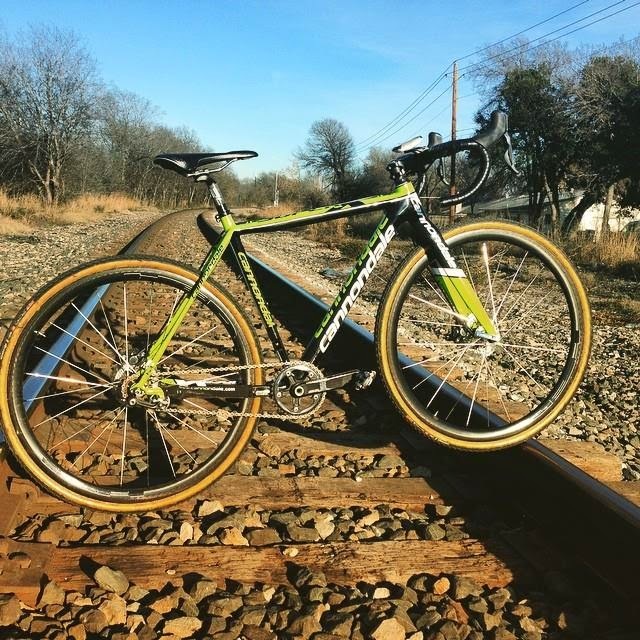 This year I’ve seen a flood of cross-related posts and photos from Facebook friends and sites like TexasBikeRacing.com. This is what I can tell you…it involves mud, pain, a vicious sprint start, weird obstacles, carrying your bike, falling, funny kits, and lots of beer. In short, it sounds like fun. The current forecast for the weekend is dire for Austin—cold and rainy from Friday through Sunday, with the temperature dipping to the low 30s on Saturday. But spectating (we hear heckling cross racers is a sport in itself) is supposed to be better the worse the conditions are, and with the event being held in Zilker Park, my husband and I have decided we have no excuse not to be there for the show. We’re also hosting elite pro Jessica Cutler of Jamis Bicycles (racing on the road for Team Colavita this year) so are learning a lot more about the sport. Regardless of the weather, we’re excited to spectate our first cross race on Sunday, watching the elite women’s (2:45 p.m.) and elite men’s (4 p.m.) races. Check out the nation’s best this week! You’ll find the full schedule here. Austin is a good city for bike commuting. The weather is usually warm and dry, bike lanes or neighborhood streets can get you from one end of the city to the other, and workplace culture is generally accepting of the practice. Getting around by bike does have its drawbacks, of course—Austin’s traffic is legendary, the weather is boiling hot for much of the year, and some bike routes stop and start like a jigsaw puzzle that doesn’t quite fit together. But a little preparation goes a long way. 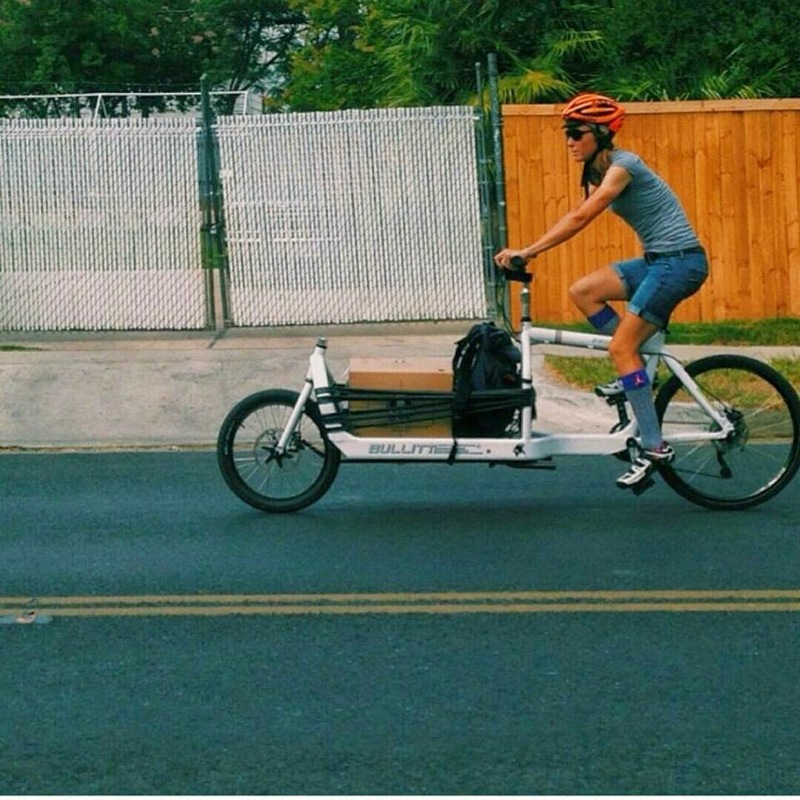 ATCers offer bike-commuting tips and equipment ideas to make your trip a smooth one. The first thing any veteran bike commuter tells you is to get a good set of front and rear lights. Options range widely in price, but high-quality lights are usually well worth the investment—consider battery life, brightness, charging and attachment options, and any other aspects that might pay off long term in general convenience and usability. For extra safety, run your lights even in the daytime, especially in low light or rainy conditions. When riding pre-dawn, I like using a bike-mounted Light & Motion front and rear and also a helmet-mounted front and rear; I feel extremely visible, and the front lights illuminate a wide swathe of road in front of me. Consider how you’re going to be storing your bike once you get to your destination. Some offices and shops are particularly nice about letting you prop your bike up inside, but it’s better to ask in advance. If you’re locking it up outside, you might want to ride an inexpensive bike that doesn’t tempt would-be thieves. Cables are light but can be cut easily, so heavy-duty U-locks offer more protection. Durable tires like Gatorskins can prevent flats that might delay your trip. Much more forgiving and comfortable for long rides than a backpack, baskets or racks can help you carry a surprising amount of gear, from textbooks to heavy shoes. 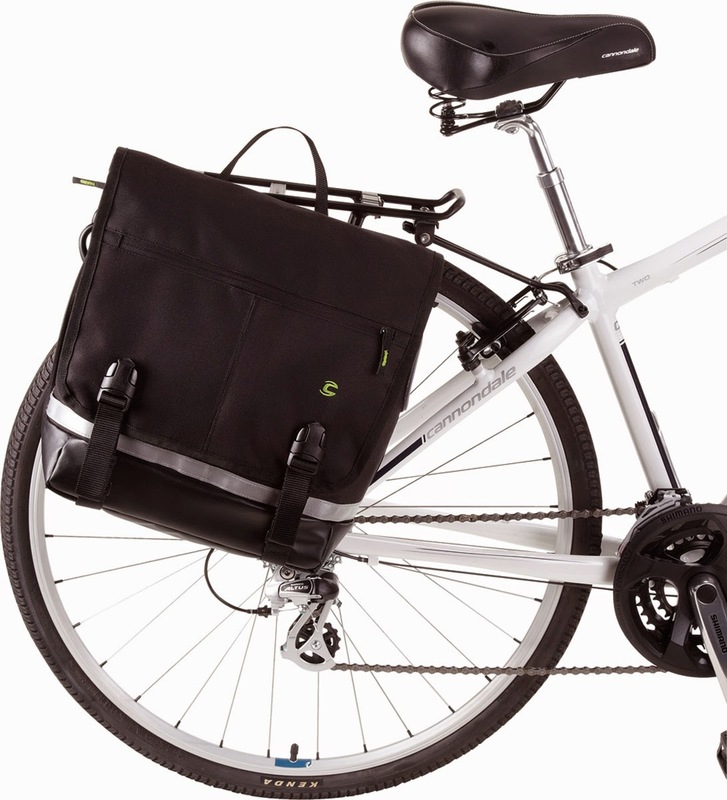 Panniers are awesome for grocery shopping. In addition to what you can fit inside (which is a lot), you can use reusable bags to tie light purchases like potato chips and bread to the outside. Sammi Runnels, who spends most of her day riding downtown as a bike messenger for Dropoff and has been a bike commuter for five years, says if you ride more than ten miles you’ll probably want some kind of cycling clothing, whether it’s mountain bike baggys or spandex. Long skirts or baggy pants are generally a bad idea, and tight jeans or short shorts should be avoided for anything more than three miles. She says she likes tight knee-length pencil skirts because they don’t fly up, but for flowy skirts, a pair of tight boxers or spandex shorts underneath are an easy solution. Roll your pant leg up on the drive-train side to prevent catching the material in your chain. Also secure loose shoe laces, which can make for an especially bad mishap on a fixed gear. For cold weather, having the right layers on hand can make your trip much more pleasant. 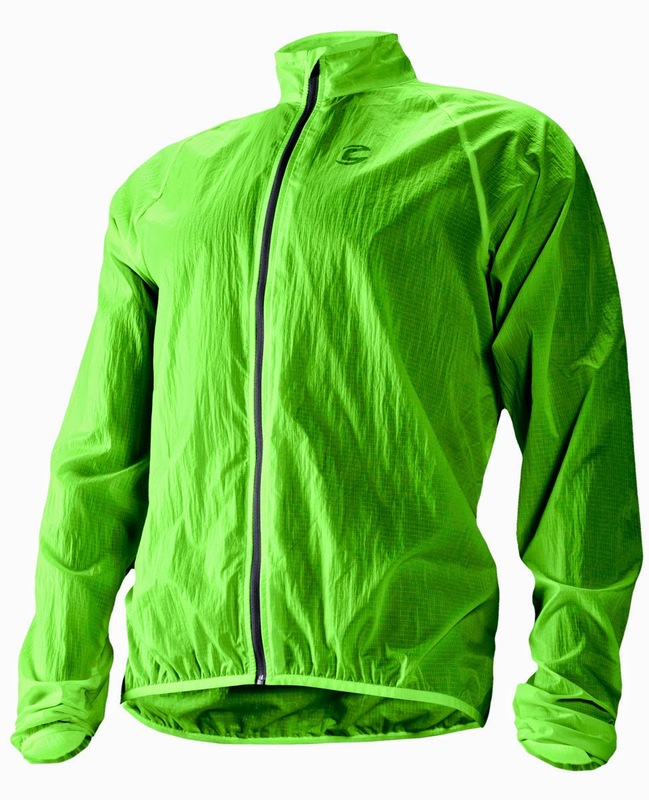 Wind-stopping base layers, long pants or knee warmers, arm warmers, gloves, a vest or jacket, wool socks, shoe booties, a hat or warm headband—all of the above are worth their weight in gold when temperatures suddenly drop. Just ask any bike racer who competed the second day of La Primavera Lago Vista last year, when temps went from 70 degrees to 40 in about an hour. Pack baby wipes. In addition to sweat and general road grime, they’re great for removing chain grease. If your workplace doesn’t have a shower, this is a good way to avoid stinking up the office. Keep a stash of clothes at your destination. If you occasionally drive to your workplace, use it as an opportunity to drop fresh clothes, shoes, and toiletries off so that you don’t have to carry them each day. Arrive to work first. Even in Austin, sometimes bike commuting is frowned upon and considered unprofessional. If you're routinely the first to arrive at the office, the idea can go over better with colleagues. Don’t commute on high-traffic roads. Often there’s no need to ride on roads like First Street and North Lamar; though they may be slightly less direct, there are much safer, quieter routes if you do your research on Google Maps or Austin bike maps. Test out your route on a weekend or a day when you have plenty of time to get to your destination so that you’re able to experiment. If you can get connected with an experienced commuter to help you plan out your route, even better. Take the full lane. Sometimes this is a judgment call, but it's a good rule of thumb to start with. If your route includes roads where there are no bike lanes and the roadway is too narrow to be shared safely by both bike and car, ride near the middle of the lane to stake out your territory. This decreases the chances of being buzzed by a driver who believes he or she can squeeze by. Pay attention. People make mistakes in traffic, and whether you’re driving or riding, it’s important to be alert. If possible, make eye contact with drivers waiting at stoplights and stop signs before continuing through the intersection so you know they see you. If passing parked cars on a street, be aware of the "door zone" and ride well to the left of it. Watch for reverse lights, as well, especially if you're traveling through parking lots or residential neighborhoods where drivers may be backing out of driveways.